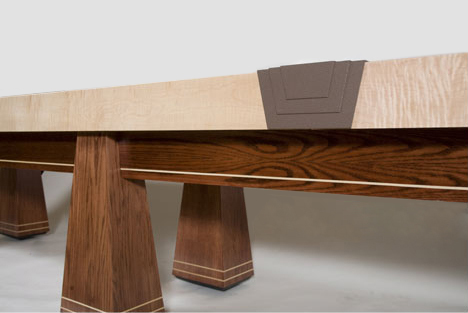 This top of the line hand made shuffleboard table features classic styling and construction. 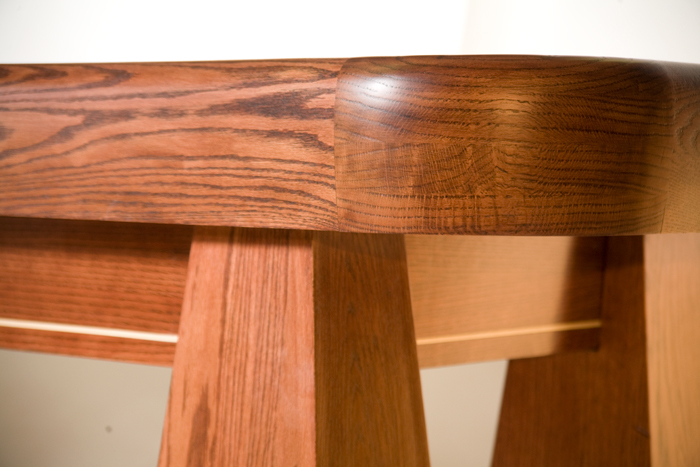 The cradle, which is hand stained and lacquered, is made from your choice of Cherry, Mahogany or Red Oak. The playing surface is 100% Canadian Rock Maple. 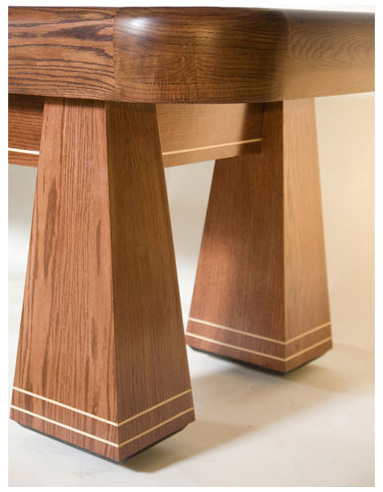 The Saratoga is finished off with beautifully design center connectors, Naugahyde, (or optional leather padding) and maple inlays on the legs and cabinet. 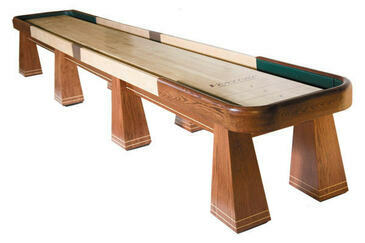 Get the shuffleboard you always dreamed of with a wide selection of stain and Naugahyde padding colors. The Saratoga is made by Venture Shuffleboard, which continues to set the standard for high quality, elegantly designed shuffleboard tables. The Saratoga, which also comes in 12', 14', 18', 20' and 22' sizes, is the perfect choice for the discriminating buyer. PLAYING SURFACE: Constructed of the finest kiln-dried rock maple. A full 3" thick, which has been planed and sanded to provide the truest playing surface available. To insure that your board will stay as true as the day it left the factory, Climatic Adjusters are included with every Saratoga Shuffleboard Table. The foul lines, scoring zones and numbers are silk screened onto the surface before it is topped off with Venture's exclusive, specially formulated UV finish. ACCESSORIES: All Saratoga Shuffleboard Tables include a set of eight Weights (pucks), 3 cans of Ultra Glide Powdered Wax, 123 Cleaner, 123 Polish/Wax, Super Slick® Silicone Spray, T-Square, rules & how to play information.